International medical group Médecins Sans Frontières (MSF) has attributed heavy rainfall and poor hygiene to the increase in disease outbreaks – including malaria, pneumonia, cholera and diarrhea – in Borno State. MSF, also known as Doctors Without Borders, in an update released by its Borno office on Wednesday, indicated that 183 children were admitted into the Intensive Care Unit (ICU) in one of its facilities in Maiduguri, the Borno state capital. 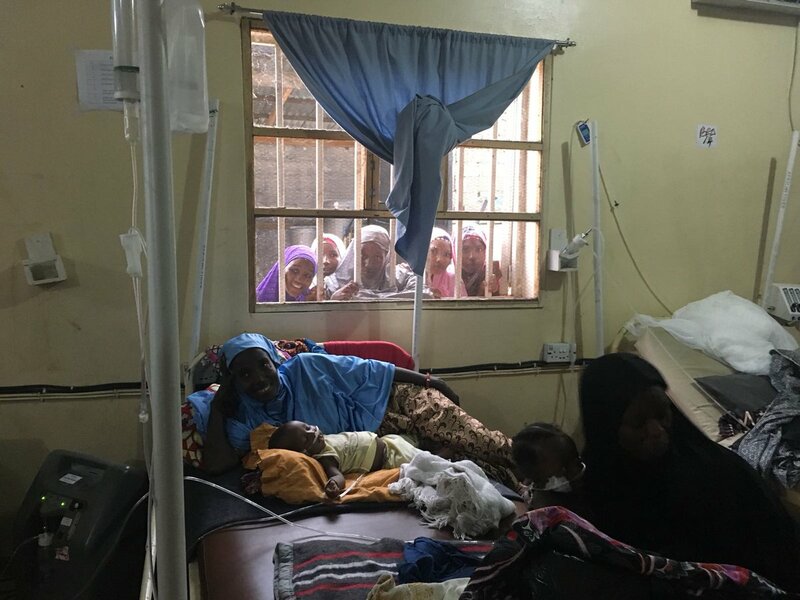 “Since September 1, MSF has admitted 183 children into the Intensive Care Unit and in the last week has been treating up to 70 children in the ICU at a time,” MSF said in the update released by its Borno Field Communication Officer, Musa Yahaya. It described the figure as the “highest number of patients ever treated in the ward since the facility opened.” The facility is located at densely populated Gwange area, once a theatre of Boko Haram insurgency, in the heart of Maiduguri. The organization said most of its facilities, including the paediatric hospital in Gwange, have been receiving an “unprecedented number of patients” in the last seven days, with heavy rains leaving hundreds of children suffering from malaria and pneumonia. It said many of the children have been suffering from respiratory problems, causing the organization to step up its support and operations to ensure urgent attention was given to the children to save more lives. “As a result of this latest influx, the 30 bed Intensive Care Unit – which was already increased from 20 beds in August to meet the growing needs – is so full, that [the] medical team has been left with no option but to have children share beds,” it said. MSF head of medical team at Gwange Paediatric Centre, Jean Baptiste, told The Sun that the facility received over 1,000 patients in August, with mostly malaria cases, pneumonia, cholera and diarrhea. “Majority are malaria patients. We are only admitting those who are severely sick who need intensive monitoring, those who have breathing difficulty, who need oxygen support to support their breathing,” Baptiste explained. He pointed out that malaria is a life-threatening disease capable of destroying the blood cell, causing severe pains and loss of oxygen in the body. Baptiste urged the people, especially mothers, to use mosquito-treated nets, which he said were made available by the government and other humanitarian agencies. He also advised the people to maintain good sanitation by clearing blockages in drainages around their neighbourhoods. He appealed that cases of malaria be reported to the nearest health facility to avoid mortality. MSF has been carrying out intervention in Borno State since 2014 at the height of the Boko Haram insurgency.